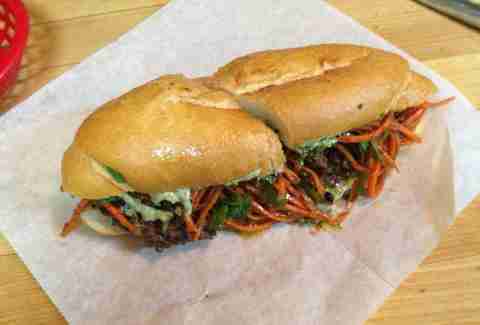 Another pop-up that’s finally gotten its own brick-and-mortar shop, The Sammich specializes not in traditional po-boys, but rather cooks up sophisticated entrees... and throws them between two halves of a French loaf. While options like Korean BBQ chicken, fried lobster, osso bucco, and pork belly confit are great, the En Brouchette, a combination of fried oysters with bacon, bleu cheese, and meuniere sauce (lots of butter), will stop you in your tracks. And it'll probably stop your heart, too, but it might just be worth it. 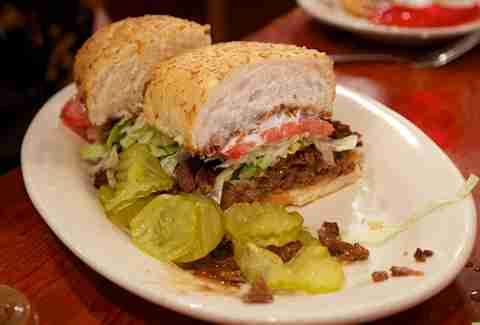 You know good things are going to come out of a po-boy shop helmed by Jacques Leonardi, the man behind Jacques-Imo’s Cafe. 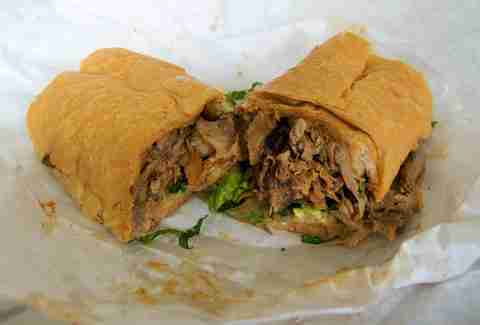 The slow-roasted, pulled duck po-boy at Crabby Jack’s is the only one like it in the city, and for good reason: it’s unbeatable. Located in the back of the Erin Rose bar, this po-boy pop-up is well known for its modern versions of the classic NOLA sandwich, including an eponymously killer po-boy featuring Moroccan-spiced lamb sausage with Herby Tzatziki sauce and sumac carrot relish. 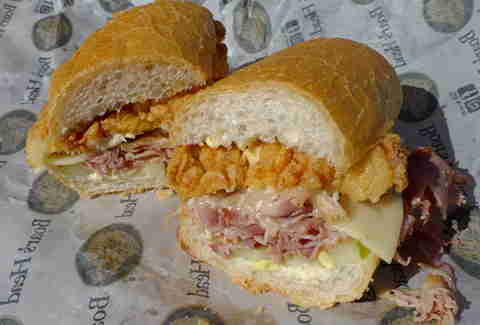 A Po-Boy Fest favorite, Southern fried chicken with grilled ham and Swiss cheese makes up Sammy’s famous Ray Ray po-boy. It’s basically chicken cordon bleu on French bread, and it’s just awesome. 5. 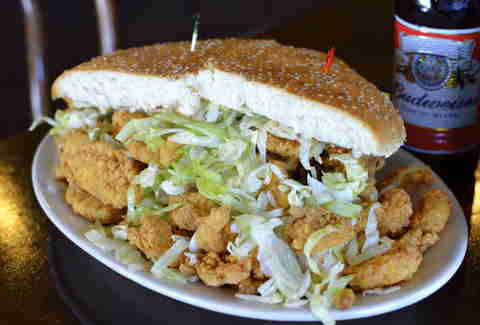 Fried Seafood (oyster, shrimp, catfish, and crawfish) "Po-Boy"
The po-boy menu at this Metairie staple includes everything from prime rib to turkey pastrami, “Veal Supreme", hot sausage, and more, but the fried seafood here is outstanding, particularly the spicy fried crawfish tails. 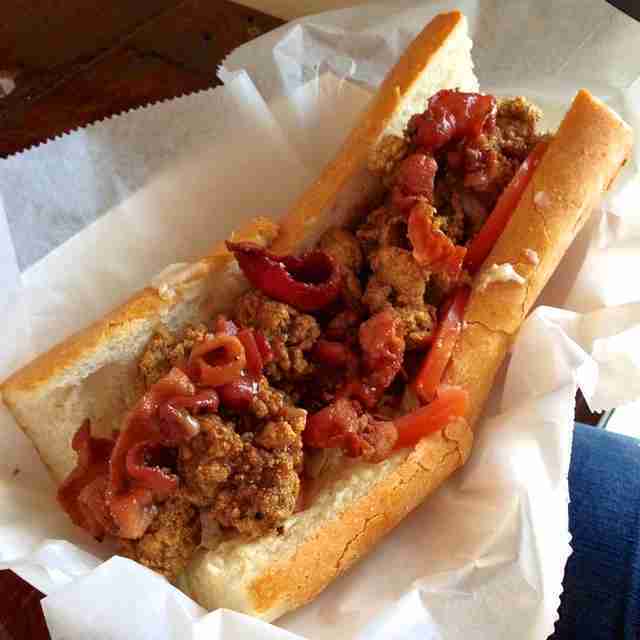 It would be further up the list, were it not for the niggling fact that it's not technically a po-boy, but rather a “seafood muffaletta”; a combo of all their fried seafood on a giant muffaletta loaf and dressed like a po-boy. It’s a classic. A legend. 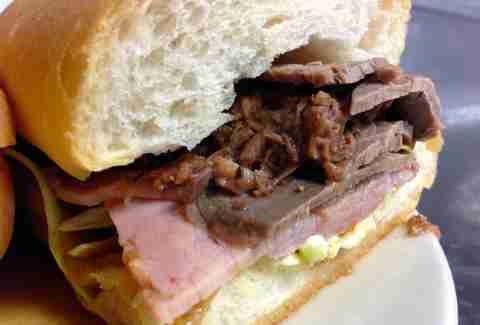 And while some folks consider Mother’s too touristy these days (the only thing keeping it from being further up the list), visitors are right to line up around corner for a Famous Ferdi Special, a po-boy featuring baked ham, roast beef, “debris” gravy, and all dressed up. This bakery goes all the way back to 1911, though in modern times it’s become well known as a go-to spot for po-boys, particularly one spilling over with crispy fried shrimp. 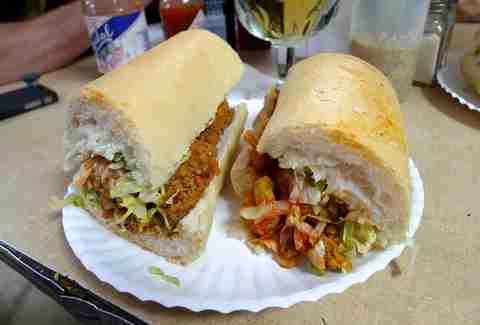 When the POTUS came to town and wanted a po-boy, he went here. You should, too. Yeah, there’s going to be a line at Domilise’s. You know why? 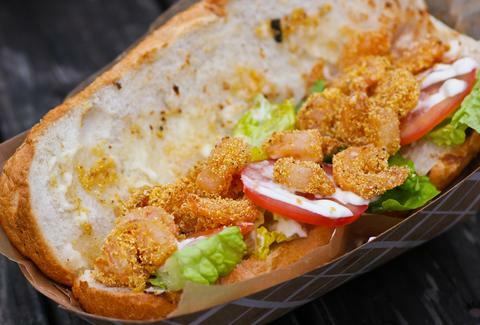 Every fried seafood po-boy is battered and fried to order, resulting a bit of a wait, but it’s worth it for the perfectly golden-fried goodness that comes of it. Get the half-and-half, one side oyster, the other shrimp. Bonus points for adding spicy ketchup (their house condiment), which isn’t traditional, but it’s a genius touch. Number one? It may be an Italian spot featuring generous pizzas, veal parm, and spaghetti, but the roast beef at R & O's is absolutely the best in the city, chopped (not sliced), crazy tender, and drowning in dark, rich gravy, it’s the stuff that dreams are made of. 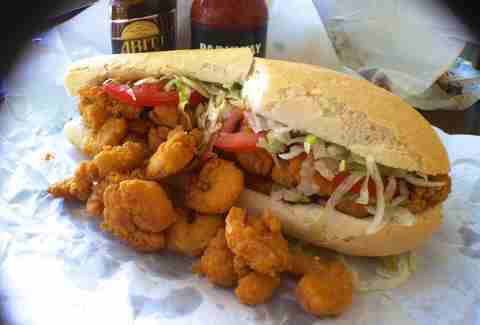 Po-boy dreams.